When will be A1: Britain's Longest Road next episode air date? Is A1: Britain's Longest Road renewed or cancelled? Where to countdown A1: Britain's Longest Road air dates? Is A1: Britain's Longest Road worth watching? Millions of motorists rely on the A1 for journeys up and down the country every week, but many are unaware of the vast scale of work needed to keep the road open and traffic flowing.A1: Britain's Longest Road meets the men and women who work around the clock on Britain's longest and most iconic road, ensuring the traffic keeps moving and the public is kept safe. Spanning nearly 400 miles of the A1 from London to Edinburgh, the series focuses on the work of the police, traffic officers and emergency response teams on both sides of the border as they deal with some of the thousands of incidents which affect the road every year. A joyrider's crash puts lives at risk. An empty fuel tank gives traffic officers a headache. A pregnant passenger is stranded after a crash. A roadside windfall causes chaos. And a mobile user is caught red-handed and red-faced. A drunk and dangerous driver is caught on camera. Northumbria Police respond to a distressing call-out with heartbreaking news. And a family make an emotional journey to the Burghley Horse Trials. A rush-hour crash puts lives at risk. A stranded motorist gets a nasty surprise. And some extreme road truckers display nerves of steel. 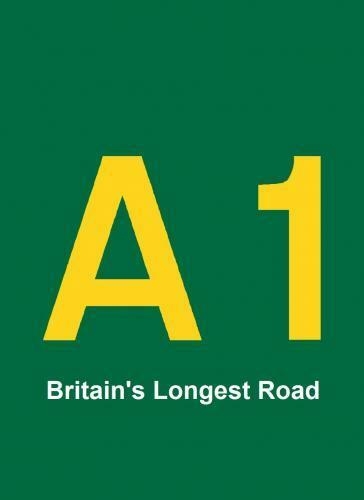 A1: Britain's Longest Road next episode air date provides TVMaze for you. EpisoDate.com is your TV show guide to Countdown A1: Britain's Longest Road Episode Air Dates and to stay in touch with A1: Britain's Longest Road next episode Air Date and your others favorite TV Shows. Add the shows you like to a "Watchlist" and let the site take it from there.